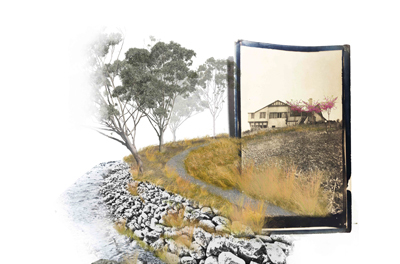 Opportunities for restoration, research and teaching at Macgeorge House, Ivanhoe. Macgeorge house and garden is located in Ivanhoe. Designed by Harold Desbrowe-Annear in 1911 the property was gifted to the University of Melbourne in 1975 by the Macgeorges as a bequest to promote the education in the Arts. Glas has prepared a landscape management strategy for the Macgeorge house garden which seeks to involve the University community. In this seminar we will invite academics, researchers and students to engage in a discussion of research and teaching initiatives as part of the long-term conservation and rehabilitation of the Indigenous culture, heritage, ecology and design of this special place. Led by Mark Gillingham Glas Landscape Architects with an introduction to the Macgeorge Bequest, its aims, the residence and the aims of the programs funded by the trust by Philip Kent (University Librarian and Executive Director, Collections). Mark Gillingham is director of Glas Landscape Architects and a sessional tutor at MSD. Chaired by Andrew Saniga (Associate Professor Landscape Architecture Planning and Urbanism Faculty of Architecture, Building and Planning).